I’m pleased to give you my first new Scope device creation in over 5 months – SPACE EQ. It’s a very simple stereo-only device that combines EQs based on on Creamware’s excellent 2-band parametric with a spacial technique which doesn’t involve delay or reverberation. The spacial effect can be turned off simply by turning the ‘SPACE’ parameter fully left. There’s also a softclip at the output stage which can be switched on & off. The Low & High frequency EQ parameters all use stepped potentiometers for ease of making very quick settings. The EQ values & ranges have been set up with the sole idea in mind that the device can be used for mixing & mastering purposes (probably with no or very little use of the SPACE parameter, which is a special effect for those who like to dabble with experimental mixing techniques). 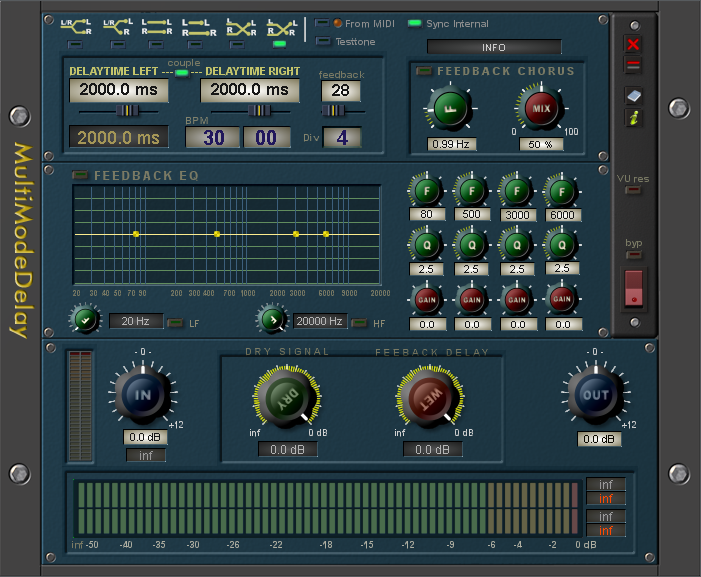 I made SPACE EQ for my own mixing knowing that I will sometimes wish to mix with 3 or 4 dB boosts at 60-80Hz & 8-16kHz. Feel free to let me know what you think..
Switch fx by pressing keys. up to 7 insert fx can be loaded; notes can be assigned individually. gain settings and text (optional) for every insert. extra preset list for Note assignements. If none of the 8 assigned notes is played, the device is silent. 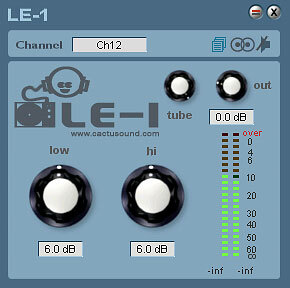 LE-1 is a Loudness Enhancer. It’s not formally a classic compressor and not a classic EQ, it’s a “signal fattener” with “eq” controls for high and low band plus a tube warmer. 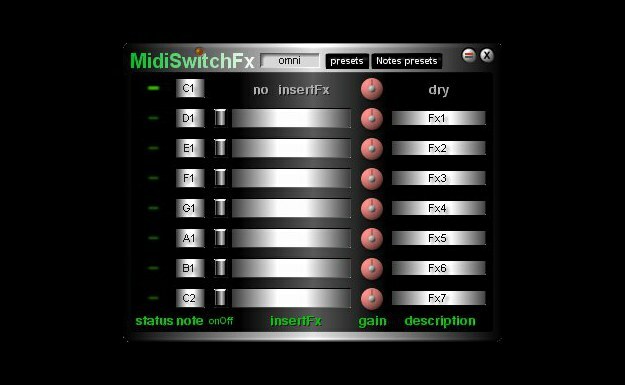 I’ve built it for invigorate my “poor & constipated” native soft synthesizers (FM7, and some freeware). It’s calibrated in my own taste. 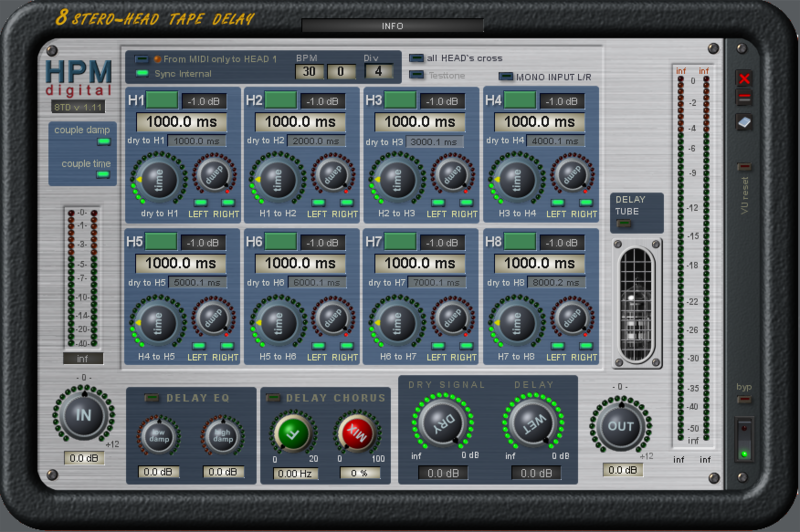 Try it also with standard Creamware synths like Uknow, Saturn or Miniscope, or try with voice recording and (with carefulness) with some poor MP3 songs (warning, maximized mix and/or higher pot levels can reach some unwanted distortion).